Just A Car Geek: 1984 Volvo 240 Pick Up Truck - It's Back! 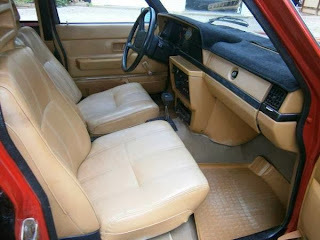 1984 Volvo 240 Pick Up Truck - It's Back! This is so ridiculous, but so cool. I have to assume that this is the same Volvo I wrote about in August, 2010. The wheels are different, but how many red, homemade, 1984 Volvo 240 pick up trucks can there be in the world? The current ad has a bunch of good, clear pictures. This car (Truck? Whatever)is an impressive piece of work. 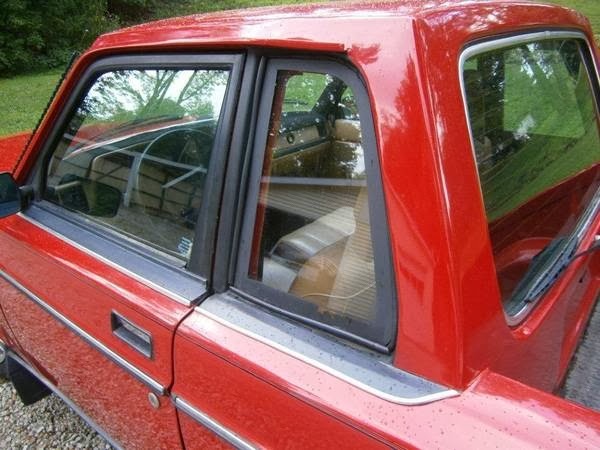 The seller describes it as being "somewhere between excellent and very, very good condition." The A/C doesn't work at the moment. 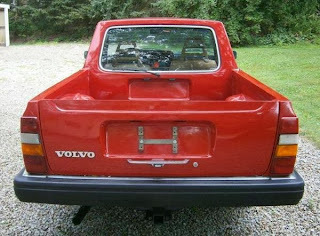 I doubt that you could drive this Volvo anywhere without getting comments. It looks so well done that I'm sure you could fool people into believing it came from the factory like this. Now located in Salado, TX, click here to see the Craigslist ad. A big thanks to "Quantum Joe" for sending me this link (and reminding me of my post 3 years ago). I sent this link from BaT to my son this morning. I asked him if I had sent him the same car a while back. (Really, who could forget this unit?... well,I could). Well, Bobs your uncle! Son of a gun, here t'was on "Just a car Geek", my favorite, all time bestest autoextravaganza platform. Thanks for the reminder of your original posting, brother. My son and I both lean toward the same stuff. He responded with this;"Ohh that looks goood! Real good! In Uganda a lot of people drive a car like this... I think it is a Datsun?" I guess if you mounted a 50 cal. in that bed it might look like a Datsun. Love you brother! Keep it coming.